Infinite Art Tournament: Element of the Month: Holmium! Holmium is one of the lanthanide elements, those mysterious elements between Barium and Hafnium that are so hard to find, yet so easy to forget. Like most of the lanthanides, Holmium was discovered by brainy Swedes in the village quarry at Ytterby. Since they had already beaten the name “Ytterby” to death in naming Ytterium, Yttrium, Terbium, and Erbium, they decided in this case to start in on the name of the nearby capital, Stockholm. Why Holmium and not Stockholmium? That’s nobody’s business but the Swedes’. 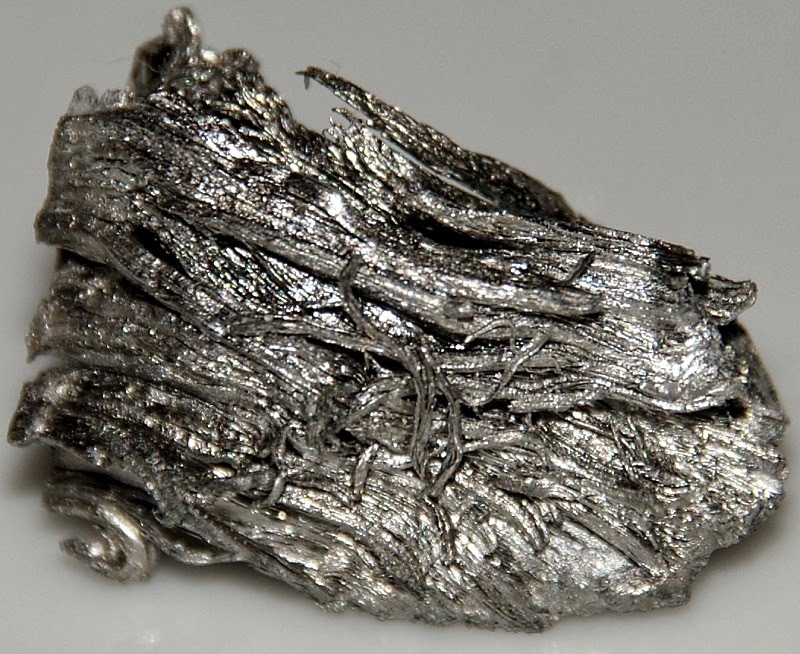 Holmium is, of course, a silvery grey metal. Like the other lanthanides, Holmium is remarkably shy. Being both quite rare and quite reactive, it wouldn’t even dream of occurring in a pure state in nature. Indeed, a patch of monazite sand with a Holmium content of 0.05% percent is considered quite the motherlode, Holmiumwise. By weight, Holmium constitutes about .000014% of the Earth’s crust. Holmium! Uh! What is it good for?! Well: like other lanthanides, it has a bunch of boutique uses in laser technology, optics, and as a colorant for this and that. This is interesting: apparently, Holmium is the most magnetic of all the elements! In fact, I have it on good authority that “the magnetic structure of holmium exhibits an incommensurate spin spiral below the Néel temperature of 131.5 K.” (Sutter, Labergerie, Remhof, Zabel, Detlefs, and Grübel, 2001) I have no idea what this means. Maybe if I read Jensen and Mackintosh’s Rare Earth Magnetism: Structures and Excitations I’d start to understand. Now, if you’re thinking “Hey! I have some of them ‘rare earth magnets!’ Maybe I have some Holmium,” it is my unfortunate task to disappoint you. Your rare earth magnets are almost certainly made with an alloy of Neodymium. And that’s what I have to say about Holmium. It's beautiful. Looks like a bronzed tree stump. Well, it's shiny. It seems like it would make good bling, but apparently it oxidizes like a sumbitch and would be dull and drab by the time you got to the club.